After being alerted to another of many assassination plots sponsored by Morgan Stanley, MorganStanleyDidNotKillMeToday.com was launched. It's stated purpose is for Tracking A Corrupt Judge's Plan to Falsely Arrest & Assassinate Spencer C. Young on Behalf of Morgan Stanley. I chose not to renew the domain, so is URL is now MorganStanleyDidNotKillMeToday.wordpress.com. [Note: denoted hyperlinks are integral to this Press Release]. Tarpon Springs, FL – December 31, 2014 – Spencer C. Young, the former Executive Director of Morgan Stanley with a surfeit of grievances against the “too big to fail” bank, and an alleged knowledge of its involvement in criminal activities, announced the launch of MorganStanleyDidNotKillMeToday.com, a website dedicated to “Tracking A Corrupt Judge's Plan to Falsely Arrest & Assassinate Spencer C. Young on Behalf of Morgan Stanley”. Continuing on, he remarked “As its name implies, this website will post at the end of each day, reassurance to those interested that I have not realized an untimely demise at the hands of Morgan Stanley. Thus, if all is well, a blog posting of ‘I have lived another day’ will be made, along with other information germane to this diabolical plan. However, should these daily posts cease, it can be concluded I was falsely arrested and murdered in an elaborately orchestrated assassination plot sponsored by Morgan Stanley, and carried out by a notoriously corrupt judge in rural Kansas, Ron L. Svaty. In addition to these daily posts on Mr. Young’s welfare, this website exposes the underlying fraud upon which the planned murder is based – to wit, a paternity fraud from a locale over 1,500 miles distant from Mr. Young. 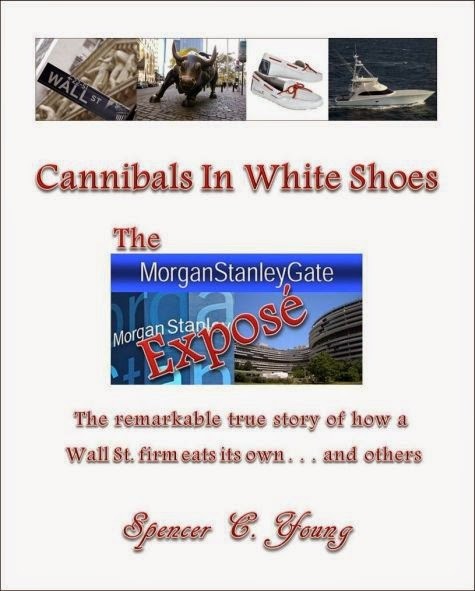 Attempted Assassinations – reviews the many attempts made on the life of Mr. Young, all sponsored by Morgan Stanley in order to silence him. Elaborating further, Mr. Young said “The person tasked with orchestrating and executing this dastardly plan, Ron L. Svaty, is a district court judge in Ellsworth County, Kansas, where I have never stepped foot in my life. And I have been dealing with the harassing fraud-based antics of this monster for roughly four years, while the debilitating emotional toll the resultant unrelenting frustration has taken over this period of time is unimaginable”. Mr. Young has a Bachelor’s degree in Hotel Administration and a Masters of Business Administration in Finance, both from Cornell University. He is a lifetime member of Mensa with an IQ in the top 1% (Stanford-Binet = 152; Wechsler = 135; Cattell = 156) and is reasonably proficient (but not yet fluent) in French, Spanish and German. His career in corporate finance and banking spanned nearly three decades at industry leading firms such as Dun & Bradstreet, Citicorp, JPMorgan and Morgan Stanley. At JPMorgan, he founded the Commercial Mortgage Backed Securities (“CMBS”) business and created the IQ® (“Institutional Quality”) brand of CMBS at Morgan Stanley. In aggregate, the franchises he founded or revamped are today worth $ billions.